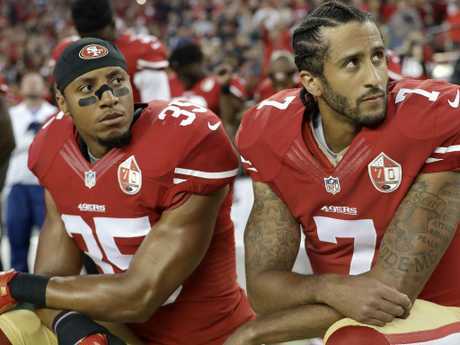 COLIN Kaepernick and Eric Reid have settled collusion lawsuits against the NFL after an ongoing public battle. "For the past several months, counsel for Mr Kaepernick and Mr Reid have engaged in an ongoing dialogue with representatives of the NFL. As a result of those discussions, the parties have decided to resolve the pending grievances. 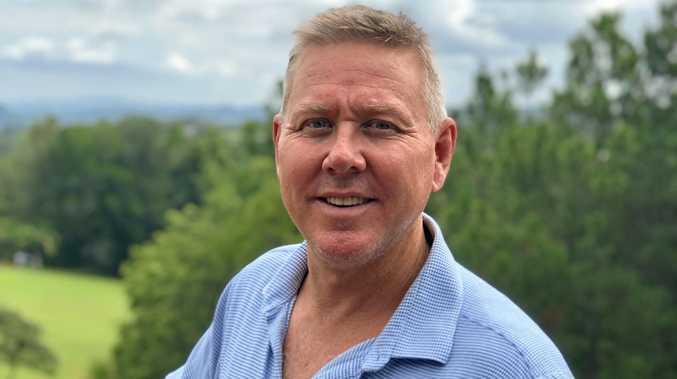 The resolution of this matter is subject to a confidentiality agreement so there will be no further comment by any party." An identical statement was tweeted by Kaepernick's lawyer. 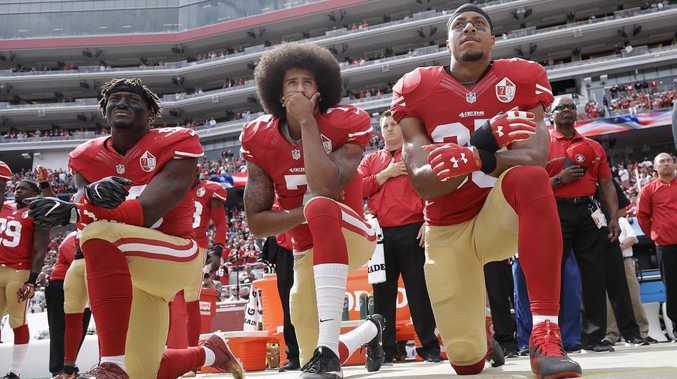 Kaepernick and Reid filed collusion grievances against the league, claiming they were black-listed because they had kneeled during the national anthem at games in 2016, in protests about social and racial injustice. Kaepernick has not played in the league since 2016, and Reid missed three games last season before signing with Carolina. The safety is back in the league after a hiatus, joining the Panthers last season and getting a three-year, $22 million contract from Carolina this off-season. The Associated Press reported on Thursday that Kaepernick demanded a $20 million contract to play for the new Alliance of American football league, which started last weekend. Players earn $225,000 over three years in the AAF. Earlier in the week, the outcast NFL star fronted Nike's Just Do It 30-year anniversary campaign - in a bold move that added more than $6 billion to Nike's bottom line in a matter of months. The campaign, centred around Kaepernick's decision to take a stand by kneeling during NFL games as a silent protest to racial inequality in America, included Kaepernick saying the phrase: "Believe in something. Even if it means sacrificing everything. Just Do It". His decision to call America to "Just Do It" has been cheapened in the eyes of some commentators by his recent decision to reportedly demand $20 million to play in the second-tier AAF. With Kaepernick having failed to attract any interest from the NFL, the AAF was his last option. His decision to demand more money than Tom Brady earned last season has divided America all over again. One tweet from The Athletic's Lindsay Jones revealed the whole story and called Nike's whole campaign into question. The new Alliance of American Football reached out to the former 49ers quarterback, according to The Athletic. AAF co-founder Bill Polian told The Athletic that CEO Charlie Ebersol reached out to Kaepernick but nothing came of it. "I don't know what transpired, but he's obviously not playing," Polian said. The AAF opened with its first set of games last weekend with players such as former Jets Christian Hackenberg and John Wolford, and former Toledo standout Logan Woodside owning starting QB jobs.